Oh hello there, it’s me, Luchae. Yep, the actual Luchae of this actual spreadsheet blog. I know I haven’t been around in a while, but I’m back now. Life’s been borderline cray cray. So many changes, big milestones to celebrate, events to plan and farewells to savour. Today, I lay under blankets, watching the rain fall, pondering on all of the above and then some. I’m in that “I should be planning something but I don’t want to and I don’t know how to work my way around that” mood. 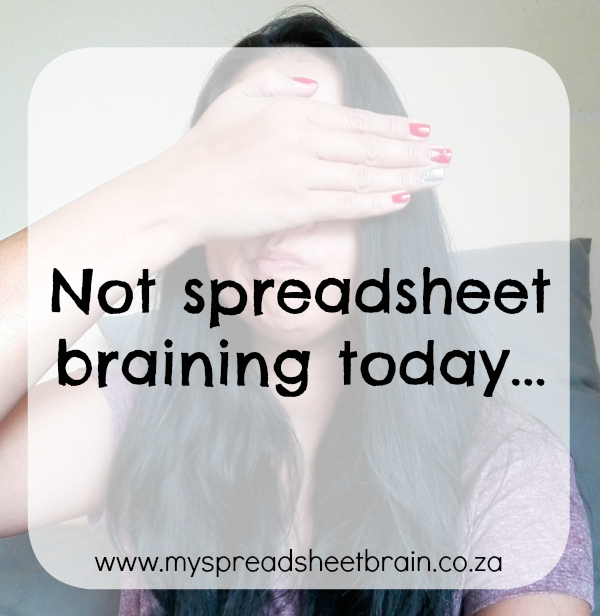 I mean, don’t get me wrong, I can probably spreadsheet if I want to. But I’d prefer just chilling here, considering the complexities of life and wondering how Kim Kardashian gets her boxer braids to be so perfect. What the heck is this Pokemon Go craze all about? I get it. You can catch Pokemon, using your phone screen. So the “big deal” about it is that it apparently gives you a reason to leave your house and drive around and socialise and blah blah blah. But people be acting like we haven’t been able to do all these things WITHOUT the app, for years. I mean, I’ll admit, I’ve tried my hand at Poke-catching (that’s a word, right?) but I think that the opinionated Facebook posts about the game is way more exciting than the actual app. (Much like this one hahaha) And anyways, have you guys not heard of Geocaching? It’s similar to Pokemon Go except that it isn’t because you actually go and find real “treasure”. There are better rules in place (eg. no trespassing and no walking off a cliff into oncoming traffic). I recommend it. Read more about it here. So the upcoming municipal election campaigning is underway and I drive past all these ward candidates in the morning, with their faces on our lamp poles, wondering “who the heck are you people?” Granted, there are many candidates who really do have a passion for people and for the city (there really are guys, you can’t assume that everyone is corrupt and out to milk the country). But I wonder how many of us actually take the time to learn more about these candidates. What are they about? Why are they doing this? What is their motive? What’s on their hearts? Well written speeches and SMS’s from one party slamming another party won’t win over my vote. I am voting my morals. So I want to make sure that the people I put into power have the same morals and values that I do. Are you voting based on a trend? Tradition? What your friends say? What media says? Come on, South Africa. You are smarter than that! Oscar Pristorius is in jail and people are still not happy. I mean, I get it. The guy killed someone. People kill people and it’s so unfair that one gets locked up for 50 years, while the other one gets a slap on the wrist. But what are your memes and social media hissy fits going to do about it? Perhaps we should consider harnessing our rage and aiming it at bettering our justice system. South Africans are good at complaining (I mean, hello, we’ve pretty much waxed the art of toyi-toying) but will complaining change anything? YES, it will! The trick is that we’ve got to stick together, and say the SAME THING, in one voice, for real permanent change to happen. If we’re all shouting different things in different directions, our voices will never be heard and the right changes will not happen. Look guys, these shops with their collectables are straight up annoying, but man are they smart! I’ll admit that we’ve shopped at Checkers this past week, just because we wanted to get our hands on those mini groceries. There, I said it. Judge me all you want. I’ve joined the hundreds of grown men and women around South Africa who swear that they NEED to collect them all for their kids. It’s for the children. Always for the children. *coughcough* But okay, let’s be real, it can get a bit wack when people are swopping home addresses on Facebook because they want to exchange their mini milk for a stranger’s mini toothpaste. “I’ll change you my blue one, for your pink one, you can come to my house right now stranger who’m I’ve never met before!” Scary! I applaud you big grocery store chain. Well done on making sane adults lose their ish. And finally, yesterday I took my 14 year old to Specsavers to get his eyes tested (just a check up, nothing too crazy) and the optom decides to think that I am Kyle’s GIRLFRIEND. Consider this: My 14 year old son… wearing school uniform… I’m his girlfriend. Huh?! I must admit the feeling of “hey, I must look pretty young!” was completely and utterly overcome by the thoughts of “EWWW!!!! That’s my kid!” Come on lady! Really? So there you have it. The totally random musings from my totally unspreadsheeting brain. My pleasure.